Coloring Contest | The Kids Beat | Kids VT - small people, big ideas! Last month's coloring-contest judges were a bunch of lucky ducks. 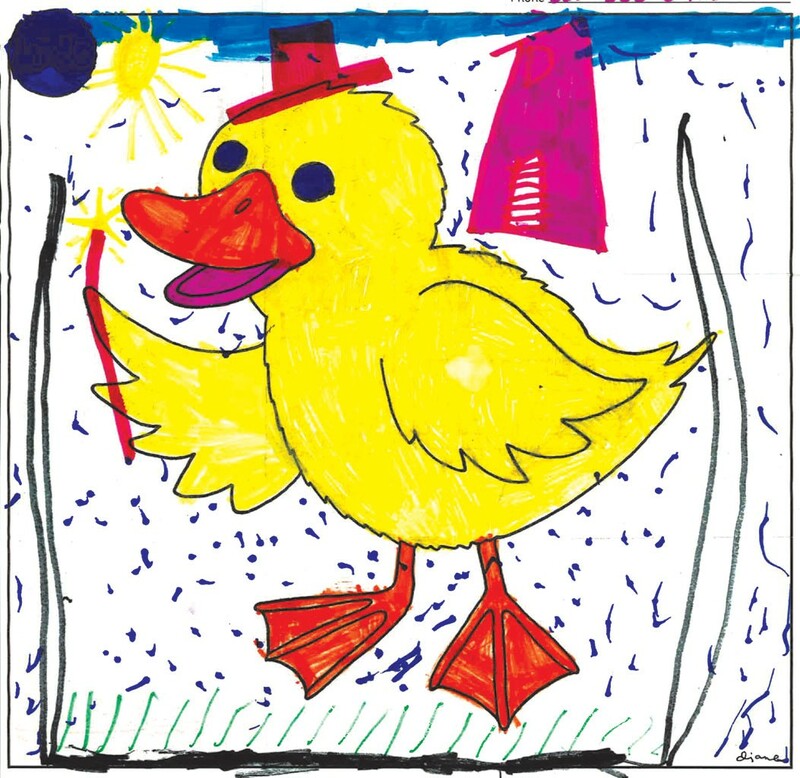 They got to peruse more than 70 wacky, wonderful creations from young artists, including a rapping duck, a mathematician named McQuack and duckling royalty. 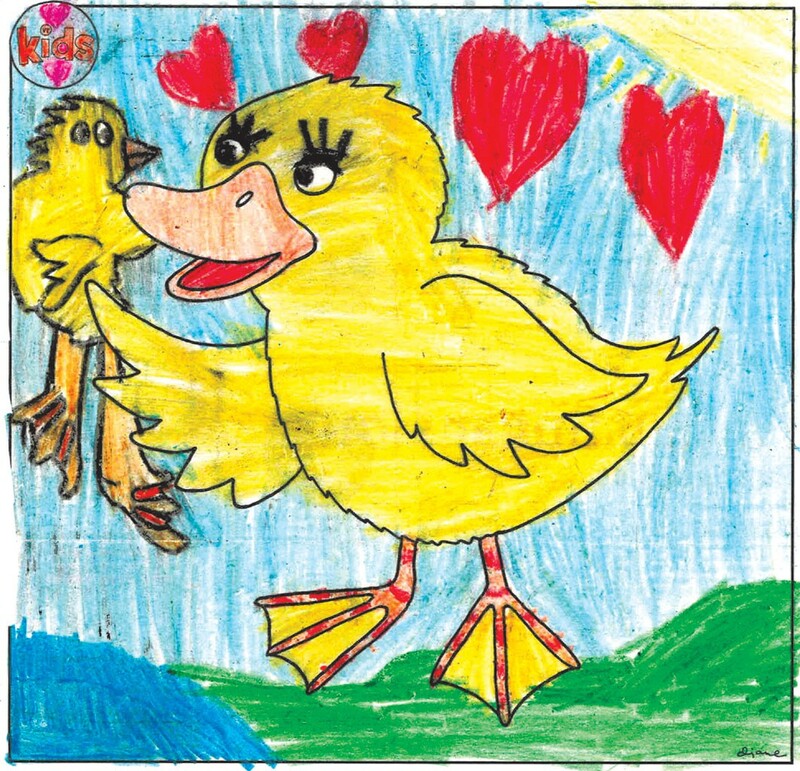 Some kids created whole narratives around their waterfowl — an anxious duck just trying to make it through kindergarten and a bird who got lost while hunting for Easter eggs. Keep the creativity coming, and congratulations to all the winners! 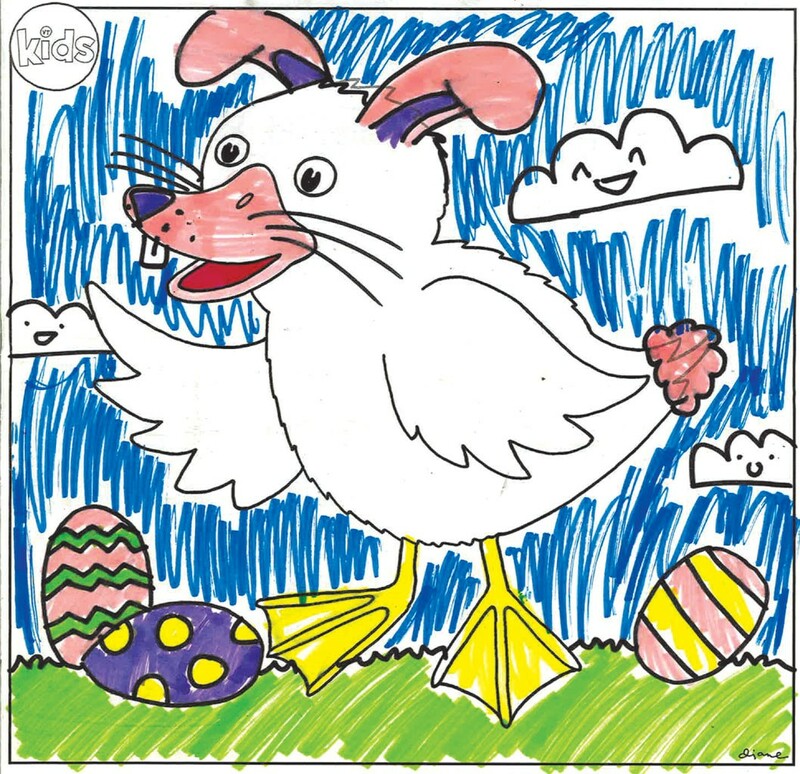 "When Bunnies Lay Eggs on Easter"
Maria "Fern" Murphy, 9, Plattsburgh, N.Y.
Elliott Supley, 7, Peru, N.Y.